Caroline Spaeth is an engaging performer who has appeared all over the East Coast. Solo engagements include appearances with the Miami Music Festival, Masterworks Chorale, Calliope Inc., and the Vermont Music and Arts Center, . 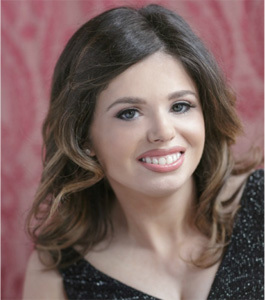 She regularly appears in recital around the Boston area with programs ranging from lieder to Broadway showtunes. Her warm stage presence and musicality have made her a favorite with older and younger audiences alike. As a teacher, Caroline communicates warmth and respect for her students. The integrity, dedication and intelligence Caroline brings to her teaching are indicative of her attitude toward learning and life. Our staff of instructors consists of professional musicians and music school graduates from such schools as Berklee College of Music, New England Conservatory, Boston Conservatory, Boston University, and Arizona State University. All have extensive training on their instruments and years of teaching experience. Instructors are hired for their flexibility in dealing with students at different age and ability levels. Our teachers strive to help students play as musically as possible, as soon as possible, while focusing on the fundamentals of music. © 2014 MJ’s Music School. All rights reserved. Designed & Developed by Mandile Web Design.